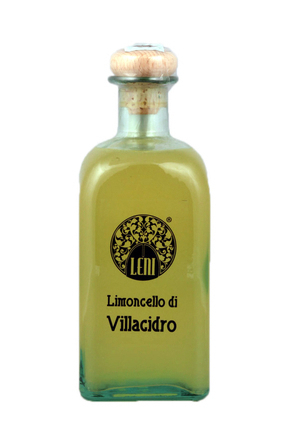 Limoncello is a lemon liqueur originally from Southern Italy. 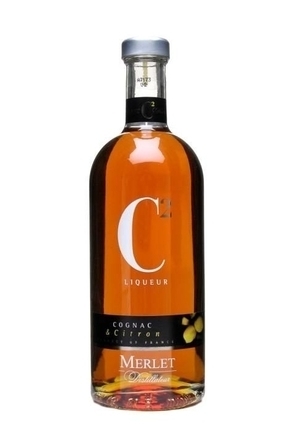 The best balance tart citrus acidity and spirituous spice with rich velvety sugar to become a taste sensation, especially when served ice-cold in traditional small brightly hand-painted ceramic cups. 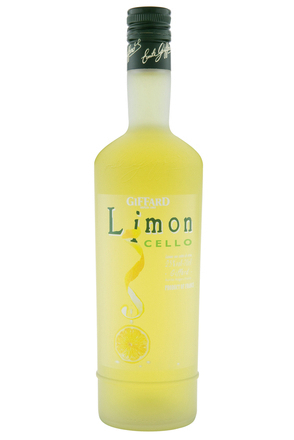 Limoncellos are typically 26% - 32% alc./vol. The Massa family on the Sorrento peninsula, which juts out of the Italian coast pointing towards the "Blue Island" of Capri, claim, “we began producing artisanal Sorrento Limoncello in 1890.” However, it was not until 100 years later, in 1991, that Sergio and Stefano Massa founded their limoncello brand and like numerous similar claims, theirs appears unsubstantiated. And for every story from Capri and Sorrento there are seemingly ten from Amalfi, the next stretch of coastline along from Sorrento. Whether limoncello originates from Capri, Sorrento or Amalfi is unproven but it first appeared in the early 1900s and remains most closely identified with these three areas, particularly Amalfi. Amalfi coast with terraced lemon groves distinguishable by their green netting. 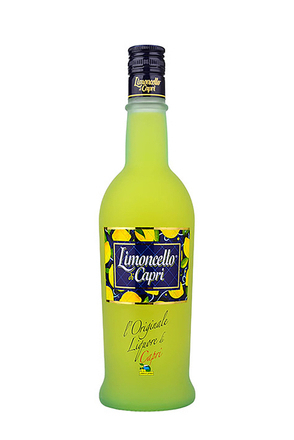 It's immaterial who first registered their brand of limoncello as limoncello is an unprotected generic name, the origins of which are lost in the mists of time. 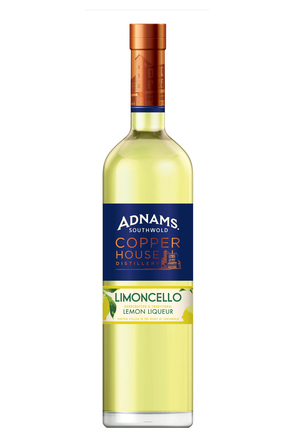 That said, Italian monasteries pay a key role in the history of distillation and lemons are commonplace in Italy so limoncello’s true origins are most likely monastic. 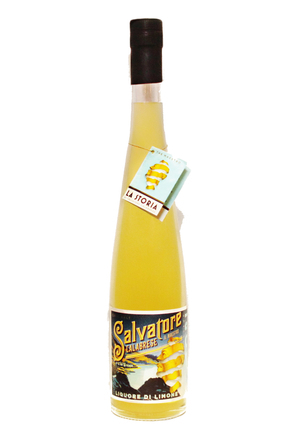 Limoncello may not be a protected term, but true limoncello liqueurs are only made using the peel of one of two varieties of lemon, Sfusato and Sorrento. Sorrento lemons, also known as Ovale di Sorrento (due to their oval shape) and Massa di Massa (referring to a municipality where the lemons are grown), are medium to large in size (less than 85g / 3oz) and have a highly acidic juice and a moderately thick peel. The size, acidity and peel thickness are all in contrast to the bigger and less acidic Sfusato lemon. Sfusato translates as spindle, referring to the pointed ends on the unique elliptic and symmetrical shape of this lemon variety. Sfusato lemons are also known as Femminello St. Teresa lemons and Sfusato Amalfitano. Sfusato lemons were introduced to Southern Italy’s Amalfi coast hundreds of years ago by sailors from the Middle East. The lemons thrive in the warm coastal climate growing to typically more than twice the size of regular lemons with an average weight of 200g / 7oz. They are juicy and have a very thick knobbly skin that’s rich in aromatic oils. Sfusato lemons have very low acidity, strikingly so compared to other lemon varieties, to the extent that they are great sliced and served in a salad or even eaten for breakfast like an apple – a practice commonplace in Amalfi. The lemon trees are grafted into a wild variety of orange rootstock and it takes around three years before a newly grafted tree starts to produce lemons. It then takes 12 to 18 months for the Sfusato lemons to grow and be ready for hand-picking. The trees continue to bear fruit for some 100 years before it is necessary to replant. With seven to ten blooms per year the trees always carry lemons at varying stages of maturity – from flowers to small lemons, medium lemons and large lemons ready for picking. Typically, each tree yields seven or eight lemons per branch. The preferred harvest period is April and May but picking usually lasts from March through to the end of August and in some years into September and even October. 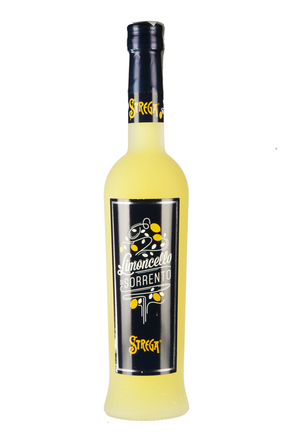 Unlike cognac, sherry or champagne, limoncello liqueur can be made anywhere, but this sweet/sour liqueur originates from Southern Italy, particularly the region around the Gulf of Naples, the Amalfi Coast, the Sorrentine Peninsula and the islands of Procida, Ischia, and Capri. 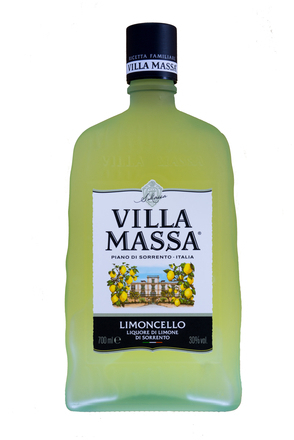 Limoncello is now also produced in other parts of Italy, France, the USA – particularly California and by individual producers in numerous other countries. However, limoncello remains most closely associated with the Amalfi Coast and its 700 hectares of Sfusato lemon groves with 1,556 growers producing 14,000 tonnes of lemons each year. The influence of Mediterranean climate, sea air, and terroir on the flavour of the Sfusato lemons grown in the groves that line this coastal region is undeniable. Hence, it is commonly accepted that the best limoncellos are made with the skin of Sfusato lemons grown in this region and macerated in alcohol immediately after picking. Terraced Sfusato lemon groves line the steep hillsides which fall to the shoreline along the Amalfi coast. The inhabitants of this region were sailors and traders and much of the soil which is held behind the dry-stone wall terraces was brought to the rocky hillsides from all over the Mediterranean as ballast aboard ships. The crew of these ships also sailed with Amalfi lemons to ward against scurvy. The seaside scene is made more picturesque by the Pagliarelle, traditionally straw mat but now also fine mesh roofs supported on chestnut poles over the terraces to shade the precious fruit from the scorching summer sun and protect from cold winter sea breezes and hail. No pesticides or other chemical products are used in these lemon groves as their deposit on the skin would adversely affect aroma and flavour, so making them unsuitable for limoncello production. 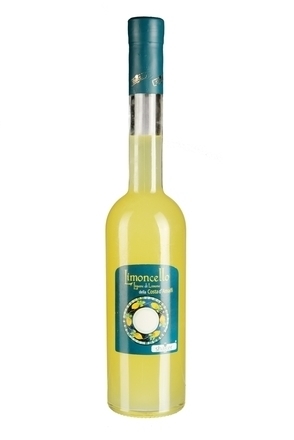 Limoncellos are traditionally made with only Sorrento or Sfusato lemon peel, neutral alcohol (originally grape based but now usually sugar beet alcohol), sugar and water. The lemons are peeled, either manually or by machine, to remove the zest with as little of the pith as possible. The peel, ideally fresh after harvest or frozen, is then infused in neutral alcohol in stainless steel tanks and filtered to produce a concentrated aromatic tincture. This tincture is then mixed with purified water and sugar to make limoncello liqueur. Concentrated Sfusato lemon peel tincture. 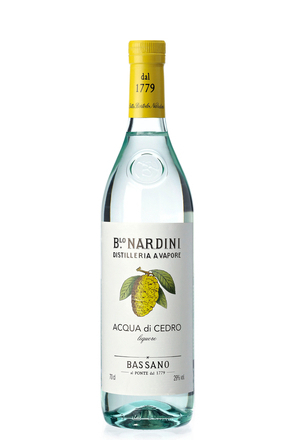 It is a simple process with only four ingredients (additives and preservatives may be added) but like all simple recipes, it is the nuances of the proportions of each ingredient, the quality of those ingredients and how they are handled and combined that separates a great limoncello from an average limoncello. Be warned, providence and price are not a guarantee of quality. Opaque, cloudy limoncellos are the result of spontaneous emulsification (louche effect) of the lemon oils dropping out of suspension on the liqueurs ethanol alcohol, usually due to cold temperatures or dilution. This is a sign of a very high concentration of lemon oils so can denote quality although too high a concentration will cause an unsightly rim where the liqueurs meniscus meets the bottle. 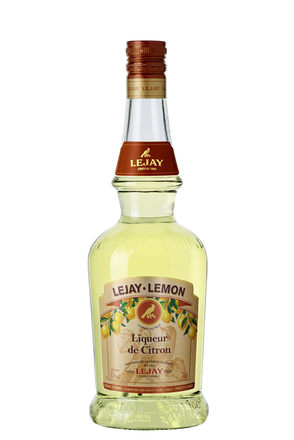 Beware: Just because a limoncello conforms to the above PGI rules does not guarantee its quality, mearely its origin. 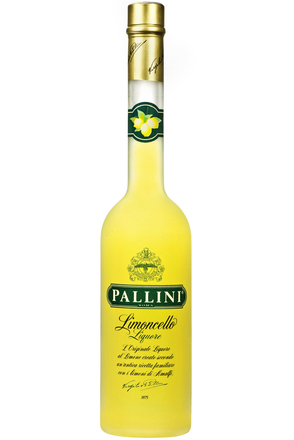 Indeed, some high quality limoncello liqueurs, such as Pallini, are made using PGI Sfusato lemon peel grown and infused in alcohol in the Amalfi PGI region but are not PGI limoncellos due to other aspects of production, such as location of blending and bottling, and additives such as colouring. Artisanal PGI limoncellos with very high concentrations of lemon oils are fabulous when freshly made, but in our experience, many do not travel or age well, so be sure to make the most of them if you find yourself in Southern Italy. 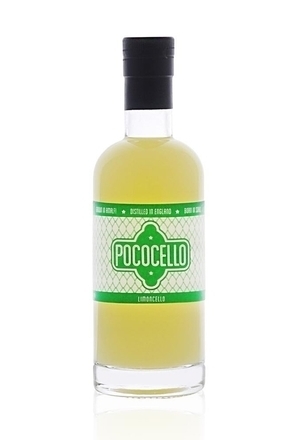 Pallini also makes a PGI Limoncello, Shaker Limoncello della Costa d'Amalfi, which we've seen being made and highly recommend, but this is only available in the local market due to its need to be enjoyed when freshly bottled.